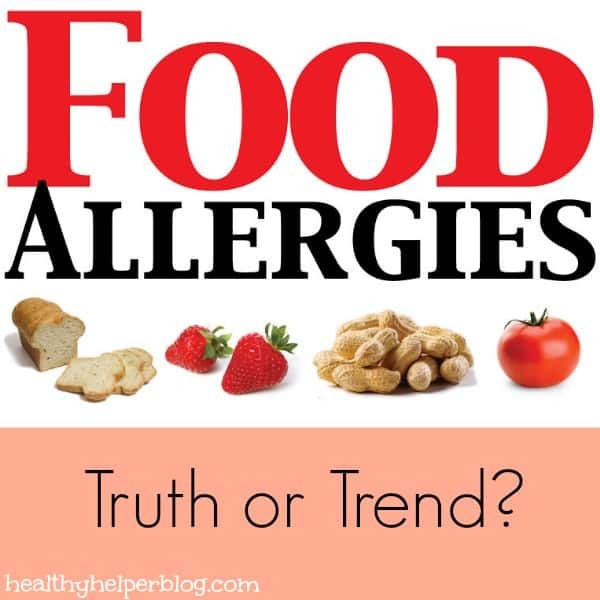 Healthy Helper Blog » Food Allergies: Truth or Trend? Food Allergies: Truth or Trend? After reading some articles online recently and from my own observations, I decided to write this post based on some curiosities I‘ve had lately. I do not mean to offend anyone and criticizing someone else’s diet is not my intention at all. I just wanted to present a topic for discussion to you all and find out your opinions and feedback. I hope this post will create an open forum for respectful conversation. Things seem to spread around the blog world like wild fire. Green monsters, OIAJ, mini spoons, sweet potato fries, nut butter obsessions, chia seeds, protein muffins, larabar lovin’….to name a few. Sometimes its hard to determine whether people take part in these trends simply because they are “trends” or because they truly enjoy them! I myself have taken a liking to many of them and love that the blog world has introduced me to so many wonderful new food items. But one trend that I’ve seen a HUGE increase in in the last year has been the elimination of foods like gluten and dairy from people’s diets……food allergies. Everyone and their uncle seems to be getting symptoms of food intolerances! So much in fact that it makes me suspicious of whether their ailments are legitimate or just a means of being trendy and “unique”. In some cases, I see the elimination of gluten/dairy/etc. as a means of restriction. Almost as if claiming a food allergy is a way to justify a restricted diet. Now while many out there legitimately suffer the effects from food allergies, its seems now that people left and right are eliminating these foods from their diets. I find myself thinking sometimes…..”why does my body have no problem with any foods!? !……I feel kind of left out of the club!” But then I realize, wait a second I should be celebrating the fact that my body has no food intolerances and being grateful for all the yummy foods I get to enjoy! In these modern times we have more ailments, diseases, and conditions than ever before. Peanut allergies have sky rocketed in kids and all different types of food seem to be causing more and more problems for people. If you think back to the olden days, when people ate simply and from the land, nothing like this was ever so widespread! To many times have a I seen gluten-free/dairy free/etc. marketed as a way of weight loss. And it seems like this marketing has penetrated a ton of people’s minds. I think unless you truly experience actual symptoms of food allergies/have been diagnosed with an allergy, then eliminating important nutrient rich foods from our diets is just silly. In a way the gluten free/dairy free/etc. diets seems to be fads that belittle the severity of diagnoses like celiac disease and lactose intolerance. With so many undiagnosed people, its hard to take seriously the elimination of foods from their diets. I’d really like to know everyone’s thoughts on this topic. -Have you noticed the sharp increase in these type of diets across the blog world? -Do you think these diets are increasing do to trend or legitimate medical need? -Have you ever done something because it seemed to be the “trend” at the time? Let’s keep this positive everyone. I am not attacking anyone’s choices I just am curious to see what other people think of this subject. Please be honest, but also respectful of each other! Thank you for saying the words I never thought to! I see people cutting out gluten EVERYWHERE. People who have no problem with gluten buy GF products because it’s “lower in calories”. In my opinion, your body is just going to rage at you when you go back to gluten, because it won’t know what to do with it. I don’t understand why having a sickness is cool! You lose weight from cancer, is that going to be the next big thing? I get if people are legitimately having problems with gluten, then that’s okay. Often it’s not a gluten problem, but a processed crap problem- that’s what causes the gas/nausea/pain. Okay, end rant. And I’m not trying to criticize other’s choices either. Thanks for commenting!!! I definitely agree! What you said about having a sickness being cool is exactly what I mean!!! When did it become trendy to have a condition!!! You took the words right out of my mouth! Love your feedback girl!!! I can see your point. It does seem like a trend. I can’t speak for anyone but myself, but I’d hate for someone to think I’m doing dairy-free because I’m ‘restricting’ or trying to be ‘like everyone else’. I mean, anyone who’s seen my vlogs knows I have no problem being… well, ‘interesting’? HAHA! For lack of a better word. I’ve not completely eliminated dairy, only when I was trying to figure out what was causing my problems. Now I consume cookies and cheese crackers and puffs and etc. because small amounts don’t seem to bug me, but things like yogurt, cottage cheese (the American kind, darn people adding cream), dairy ice cream, etc. seem to really throw me off. I hope I can find a way to add them soon. I still eat the ‘same’ things as people who eat dairy stuffs (yogurt, cheese, ice cream, etc), but in soy and coconut varieties. I don’t feel like I’m missing out or being restricted with ANYTHING… except cottage cheese. Waaahhhhhhhhhh. I miss cottage cheese. I might be concerned if I saw a blogger cutting out everything dairy or everything gluten or everything etc etc and not replacing it with equivalents for fear of restriction, but I don’t judge. Everyone should do what’s right for them. ‘Cause quite honestly, my body works like a darn MACHINE with very little dairy. I wont go into details but, man. HAHA! Anywho, interesting post. I’ve been curious about the same thing. I’d hate to see anyone completely changing their diet for no good reason! Thank you for writing this Tori! I actually think you are one of the best example of how to see what’s bothering your system in the proper way! Your eats always look fantastic and you definitely eat a great variety….not restrictive in any way!! And like you said you’re replacing some things that are botherinf you with alternatives which obviously shows you’re not just eliminating foods just cause!!! Thanks again for the great feedback! i have totally seen this trend! so many people these days are going gluten free. for awhile, i started to as well but i realized that i wasn’t getting any grains..the grains that are good for my body! there are definitely a lot of trends out there and as much as some people say they need to in order to feel better or for digestive reasons, i think that it is a part of disordered eating. the more you eliminate, the less you can actually eat when you go out to places. i know from first hand experience because during my eating disorder, i was vegan, gluten free, fat free, and basically taste free. when we went out to dinner with friends or family, i would literally only have a bowl of lettuce. looking back on it, it makes me sad at how restrictive i was. now, when i see others bloggers doing the same thing, it makes me sad for them. I do think that to ane xtent it’s awareness… I think a lot of non-blogges probably have some sensitivity to gluten/dairy/etc (as they’re relativley common allergens and there’s a fair amoutn of decent debate as to whether we ever reallye volved to eat them) but don’t pay much attention to it and never bother trying any kind of elimination diet. I’m not sure what to think about this. I think the number of people eliminating gluten or dairy from their diet is increasing, but I also really think that more people get allergic to it. I myself am diagnosed as highly dairy and gluten sensitive. That means I am not celiac, but I do get a lot of the complaints when I eat glutenproducts. Stomach aches, headache, obstipation, but also tiredness and delayed menstruation. The doctor said more and more people are having these problems. Oh and what’s interesting: in China and Japan they barely eat dairy and gluten and those are the longest living people on earth.. But you should be lucky that you can eat everything. I miss bread so deeply. hey! This is a great post! and you took the words on this subject right outta my mouth! I agree with you that people often look for a label to justify to others what and how they eat. The food we eat is our choice. If you haven’t got an intolerance then don’t say that! If you don’t want to eat dairy then don’t! Just don’t say that you’re lactose intolerant……you don’t even need to explain to others! Great read! I have noticed a HUGE rising of food allergies/intolerances in the last couple of years. Now, for me I was told by a doctor to eliminate x,y, and z from my diet so I could control the symptoms I was having. And it worked! Will I die if I eat the foods? No. But do I want to? No! I think people are doing their own “experimenting” these days, which is perfectly fine and GREAT that they are in tune with their bodies. I do also think though that they should be honest with themselves on it it reaallly makes them feel better. But! In the end, it’s their body so I say do what you want to do! I’ve noticed this trend going around, and while I think it could definitely be used as a form of restriction, at the same time I don’t see a problem with people experimenting with their diets to find out if they might suffer any intolerances. 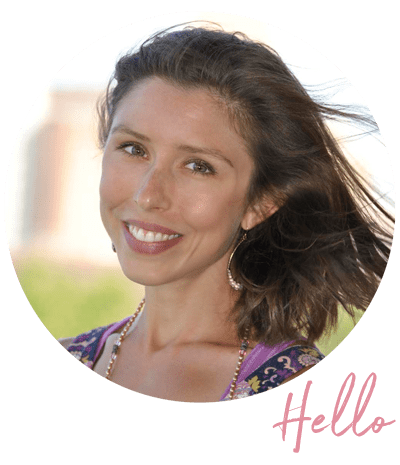 Food sensitivity is definitely going up these days, and a lot of the symptoms are so subtle that you would never really be able to bring them down to a gluten/dairy intolerance. They don’t always manifest as a stomach ache after you’ve had a certain type of food, but you can also suffer mood/energy disturbances, so I think it’s okay to try and eliminate things to see if you feel better. Such an interesting post Kayla! I can totally see where you are coming from because I’ve definitely seen an increase in intolerances, however I can totally understand the need to eliminate certain types of foods to see if thats what is causing symptoms. It’s ironic because I actually have a post half written about some issues I’ve been having with soy products, which I absolutely love and would never WANT to cut out from my diet. However the stomach pain, bloating, fatigue and irritability are just not worth it! I’ve been debating about posting about it for a while because of the same issue you talked about (I didn’t want people to think I was doing it for restricting purposes/trends) but on the other hand it would be nice to get some ideas of soy free protein from readers. YES I HAVE!! i thnk a lot of pppl are doing it to restrict or something along those lines.. but hey.. their choice! I have been thinking about this too! I have felt not ill effects from gluten or dairy, or really any food in particular for that matter. I’ve always questioned whether they are truly bad for us or if it’s just the placebo effect. I mean, many of the “big bloggers” like Healthy Tipping Point, The Fitnessista, and Carrots ‘n’ Cake have given up gluten, but that doesn’t necessarily mean we have to do it for our health. At the same time it’s important to do what’s best for yourself, and if that’s what works for them, so be it. I actually feel really bad for people who have to limit dairy… that’s probably my favorite food group. I also feel really bad for people who give up delicious food for this trend, not because it makes them feel better but because they want to be “special” or have an excuse to restrict themselves or just to fit in. I actually have thought the same exact thing for quite some time now but I’m not ballzy enough to post about it. HA. I truly believe their are quire a few people who do not have food allergens but are claiming they do so they can restrict themselves or avoid certain foods. Thanks for the info! That class sounds cool!